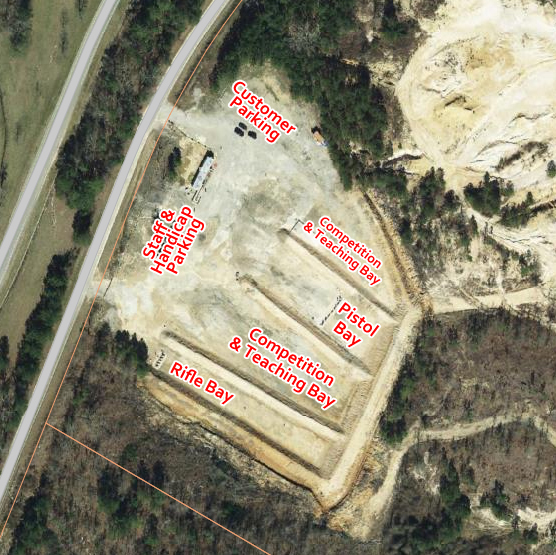 Sandhill Shooting Sports is an outdoor shooting range located in Lugoff, South Carolina. Closing time varies by season (due to sunset). We are closed Mondays and Tuesdays. Full hours can be seen at this link. Fees and Membership prices can be found at this link. Last shooter on the line 1/2 hour before closing. Commands issued by Range Officers and range personnel must be obeyed immediately and without question. Range staff may close the range if lightning or other conditions pose a danger. .50 caliber and above, bump fire, and full-auto with prior approval only. 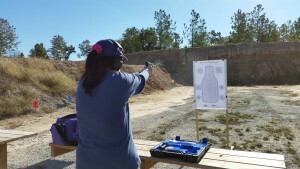 Eye & ear protection required when firing line is “hot”. No eating, drinking, or smoking on the firing line. No open footwear on the firing line. No low cut tops on the firing line. No spectators on the firing line. Guns/magazines may only be handled at the firing line. Always keep the muzzle pointed downrange. Treat ALL firearms like they are loaded. 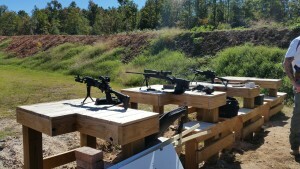 Firearms not on the firing line must be unloaded with their action open and the magazine removed, or unloaded and cased. Do not bring a loaded firearm off of the range. If your gun malfunctions, lay it on the bench facing downrange and notify range personnel. No drawing from holster at shooting tables. Please pick up your spent casings. Red buckets are on each range for disposal of casings. You may collect your own brass that is in your area behind the firing line. Brass from other shooters and all brass that falls in front of the firing line may not be collected. Our fees and Membership prices can be found at this link. Still have questions? Check out our frequently asked questions first!